WHAT HAPPENS AT A MEGA SPORTS CAMP OUTREACH? 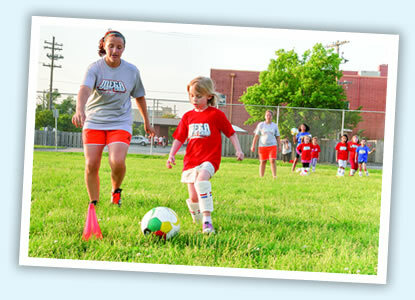 Kids love sports, which is why you may get up to 90 percent guests. Every day kids go to three sessions to learn new skills. Choose to offer just one sport or as many as you have coaches for. 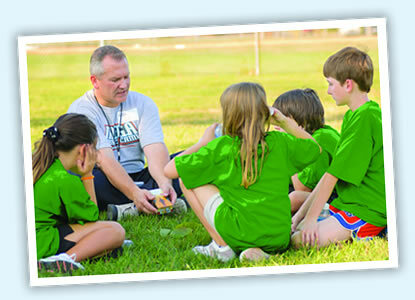 A highlight for kids is connecting with their Huddle Coach for small group time. It's easy to get men who enjoy sports involved. 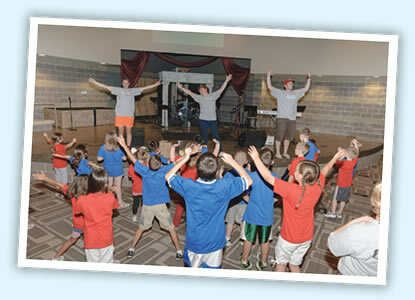 Then men's involvement in kids' ministry often goes up after camp is over. Everyone comes together three times during the day for fun songs, sports stories, interactive Bible stories, and response time. On Day 4, often up to 20 percent of the kids ask Jesus into their lives. Volunteers tell us that's the best part of all.